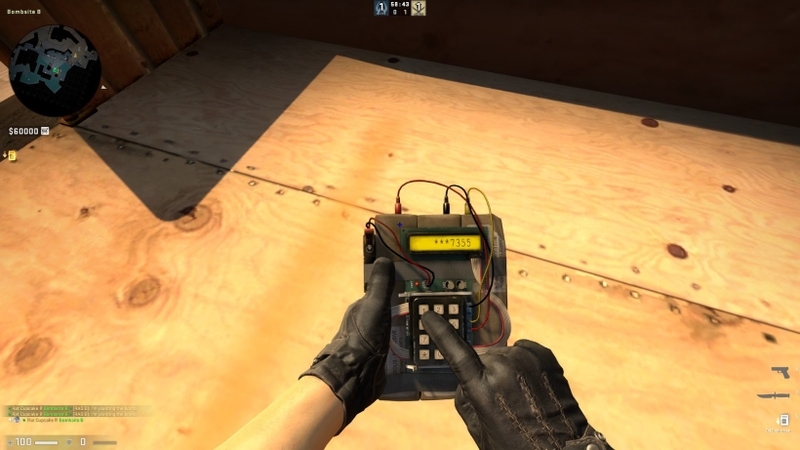 Essential advice for improving as a player in CS:GO. 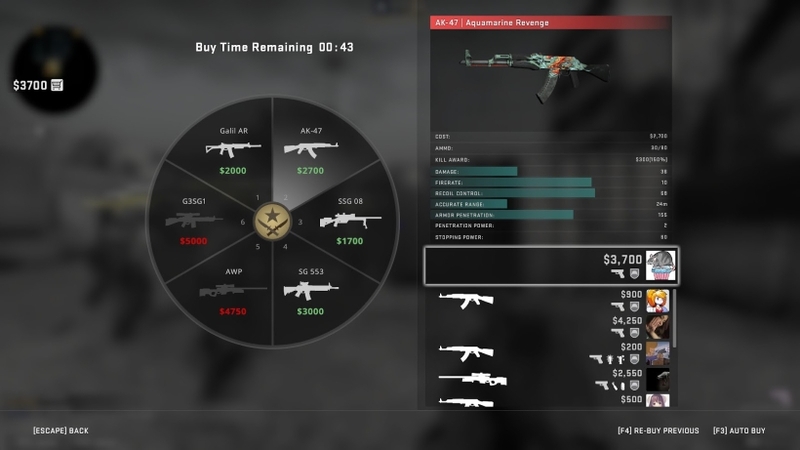 In this article we explain how to improve at CS:GO, how to get better at playing as a team, and become more skilled overall. Whether you’re a brand new player or a seasoned veteran, there’s always room for improvement in CS:GO. Employing even small changes to your attitude and habits in Competitive games can make a huge difference to your team, making you a more valuable player. 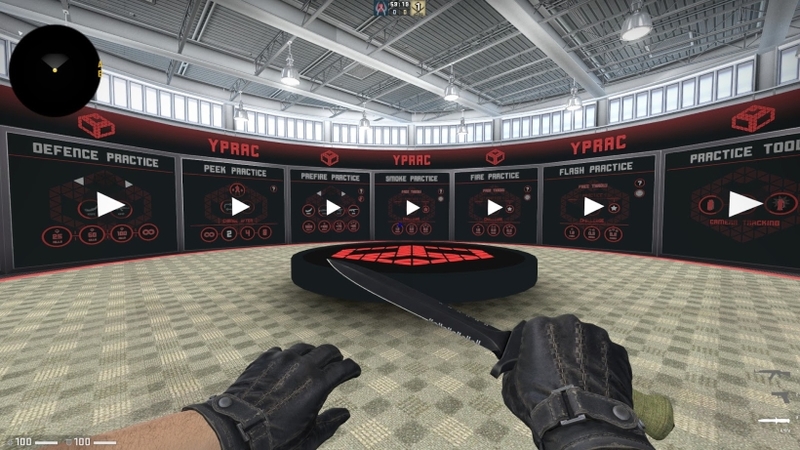 Whether you're brand new to CS:GO or a seasoned veteran, there's always room for improvement. Employing even small changes to your attitude and habits in Competitive matches can make an enormous difference to your team and make you a more valuable player in the process. In addition, putting extra time into aim and map training outside of Competitive games will greatly impact your reflexes and overall game sense. In this article, we’ve highlighted the most important areas that you should try to work on to maximise your value as a team player, improve your personal rank and - most importantly - to have more fun while playing. This article contains additional reporting by Christian Vaz. Although many people enjoy the solo CS:GO experience, it’s important to remember that it’s a team-orientated game at heart. Whether you’re solo-queuing or in a five-player premade, the decisions you make in CS:GO should benefit the team as a whole, not just you. CS:GO has a number of maps in the active pool, and learning these can be understandably daunting for new players. If you’re unfamiliar with a map, hold off adding it to your Competitive selection when queuing for a game. 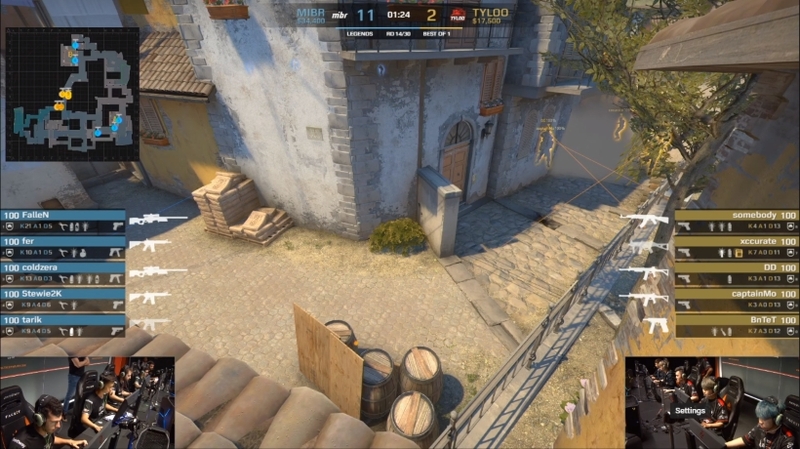 Playing on a map that you have little to no knowledge of will put your team at a significant disadvantage, as you won’t know any of the calls, angles to hold, smokes and so on. If you’re grouping with others for a Competitive game, check that everyone’s happy with the map selection first. One thing that many solo players fail to remember is to keep an eye on the team’s economy. It’s tempting to buy the best weapons available once you have accumulated a bit of cash, but always take a look at how much the rest of the team have before purchasing a weapon. Force-buying (spending all your available money, often on SMGs, weaker assault rifles and armour) after consecutive lost rounds can cripple a team’s economy, just as equally as a well-timed eco round can save it. There’s plenty of time to discuss your options in the buy period at the beginning of each round so take this opportunity to devise a plan with your team, and stick to it. Check out our CS:GO best weapons guide for more information about the best weapons and when to purchase them. Utilising grenades such as smokes and flashbangs can significantly increase your team’s chances of winning a round. However, smokes are proven to be most effective when used by multiple players to smoke off different areas. For this reason, it’s recommended that you learn a few smokes for each part of the map. It’s far easier to push a bombsite on T-side if two or three problem areas have been smoked off, as it gives the entire team less angles to clear initially. Similarly, flashbangs can prove to be more useful if you have a teammate to follow it up. Flashing someone into a spot means that they’ll position themselves slightly ahead of you, turning away from the flash so it doesn’t affect them, then quickly checking the flashed spot for an enemy afterwards. Always alert your teammates that you’re about to throw a flashbang to avoid blinding them. Good communication is paramount when attempting to win games in CS:GO. So, before you jump into a game, invest in a decent microphone. While it’s possible to communicate with your team by typing in the team chat, this is not an effective way to exchange information, as it’s too slow and diverts your attention. Once you’ve set up a microphone and have hopped into a game, establish yourself as a friendly and cooperative member of the team early on. If you’re queuing with a group of friends, you’ll likely already know how to communicate with each other. If you’re solo-queuing, however, this is very important. During the warm-up period, or in the buy period before the first round, greet your team and enquire about the team strategy. For example, if you’re starting on CT-side, call which bombsite you’d prefer to hold. On T-side, make a suggestion for which bombsite to take. This will encourage others on your team to begin talking. Once the game begins, get into the habit of reporting information quickly and effectively by making your calls short and to the point. For example, if you spot two opponents in A-Main, your call would be something like “2-A-Main”. Report an opponent as soon as you spot them, or if they eliminate you instantly, report straight after. If they’re heavily injured, you can also call out their remaining health. The most important thing to remember when you die is that you should not just sit in silence and glaze over. Reporting an opponents’ position could help the remaining members of your team to win the round. In addition, when spectating players, continue to report enemies’ positions if your teammates fail to do so. Just because you’re dead, doesn’t mean you’re useless. That said, understand when to keep talking to a minimum in tense situations like clutches. Remain quiet if you sense that a teammate is trying to listen out for an opponent. Avoiding toxicity and attempting to neutralise it can be one of the most challenging tasks you'll face when playing CS:GO, but try not to let others ruin your games. If you’re unlucky enough to be stuck with a toxic teammate, consider muting them for the duration of the game to limit their chances of annoying you further. If a teammate is being particularly abusive, dishing out a tonne of friendly fire or purposely throwing a game, be sure to report them. It’s not worth your time engaging with toxic players, and by reporting them you’re taking the first step in making the CS:GO community a bit friendlier. It also goes without saying that you should avoid becoming toxic yourself. If you’re having a bad string of games, turn off the game and take a break. Do not bully others on your team and do not rage-quit games mid-way through. We’ve covered a lot of the aspects you can brush up on while in Competitive games, but there’s one aspect that will ultimately transform your skills: training. The best way to drastically improve at CS:GO is by investing a substantial amount of time in training outside of the Competitive arena. While this may sound a bit tedious (and at times it certainly will feel like it! ), there are a variety of training exercises on offer on the Steam Workshop. Aim training will sharpen your reflexes and optimise your crosshair placement. If bots aren’t enough of a challenge for you there are also 1v1 servers that place you on a lightning-fast elimination carousel. Prefire training will teach you to anticipate where opponents may be and how to eliminate them quickly. If you’re not one to train alone, hop into a 1v1 map with a friend or join a Deathmatch server to add a competitive edge to your training. Focusing on improving your aim in CS:GO is important, but having decent map knowledge is also key. Learning smokes, jumps and boosts will make you a well-rounded player and will give you advantages against the opposing team. This video by betway esports is a great example of how pros might warm up before a match, or train their aim. It's well worth a quick watch. Start off by learning a few smokes for each bombsite and Mid on all your favourite maps, then work your way up. Jump smokes and tricky jumps can be difficult to master, but practice them consistently and you’ll eventually get the hang of them. Boosts can also be useful but these are often easier to learn if you queue with a friend who can help you perform them quickly. Check out our best training maps guide for more information. 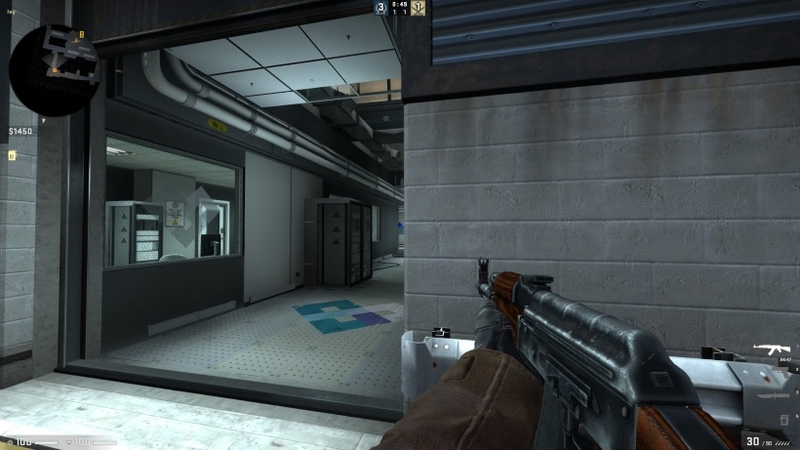 Chances are if you like playing CS:GO, you’ll probably enjoy watching it too. With near-constant small tournaments, as well as a couple of Majors running each year, there's a high chance that you’ll be able to catch a stream whenever you’re in the mood to watch one. Watching professional players is not only exciting, but it’s also a great opportunity to pick up useful tips and tricks. Take notice of the types of angles pro players hold on certain maps and try to hold similar positions when you play. If you see a pro throw a specific smoke or perform a jump that you weren’t aware of, you can also clip these on Twitch and watch them back to practice in-game later on. If you’re not particularly confident with a popular weapon like the AWP, watch some of the top players’ games or highlights to get a handle on where you should stand with it, when to switch to your pistol and when to retreat. Pro players dedicate huge portions of their time to training for tournaments so whenever you watch them, they should be in top form. If you’re a veteran player that plays with a full team, consider taking a closer look at successful pro team strategies and try to integrate these into your team’s training regime. Many pro players also make YouTube video series that offer their expert advice on certain aspects of the game. In their spare time, you can catch some of them playing CS:GO solo or with friends on Twitch too. Have a look at our guide to the best CS:GO players in the world if you'd like some pointers on where to start.